Wink Bingo Casino will then reward you with a bonus (Welcome Bonus is for new players only). The terms and conditions of the bonuses vary between different casinos and might also change over time and between different countries, so it is important to compare the different offers and read the T&C for Wink Bingo Casino before signing up. Ya’ll girly girls, gather around! At Wink Bingo Casino they celebrate unity and they fight for the equal rights for women! This attractive online casino dominated by retro vibes and bright, eye-catching colours is the right place for all lady gamblers who are all about female power. It is open to girls over the legal age of 18 though, and fights addictive gambling just as vehemently as for feminism. Wink Bingo Casino was established in and has been operating since 2008, resulting in its grand, long-standing reputation. It is likely the favourite among Bingo-oriented online casinos. Regulated and licensed by the UK Gambling Commission (UKGC) and Gibraltar Betting and Gaming Association (GBGA), Wink Bingo Casino is 100% professional, trustworthy and secure place to gamble online. The venue furthermore utilises the 128 bit SSL (Secure Sockets Layer) encryption to safeguard all the data you choose to share with the gambling establishment upon registration. Its trademark design and graphics are definitely all you will marvel at here. 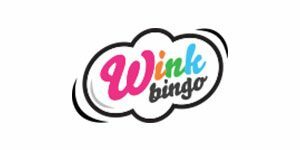 With its truly broad selection of games, Wink Bingo is equipped with titles coming from NetEnt, Pragmatic Play, 888, and IGT among others, offering all possible games out there! You might as well ignore the ‘bingo’ in its title, as this online casino is home a phenomenal collection of the hottest slots on the market! Refreshed virtually daily, the portfolio holds the likes of Jingle Spin, Legend of the 5 Ninjas, Coins of Egypt, Wild Spells, and hundreds more! Jackpots have settled all nicely here, and with the help of Millionaire Genie, Big Lebowski, Pirate Millions or Irish Riches you can get filthy rich! Wink Bingo is also big on table games. Among others you can play on Baccarat, Blackjack and Roulette, and multiple of their variants like American, European and French Roulette, Super Stakes Blackjack and many, many more. If Bingo is what you need, Bingo is what you will get at Wink Bingo! There are so many variants and rooms that you can play in, that your mind will be blown! The venue features 90 Ball Bingo, 75 Ball Bingo, VIP Bingo games displayed in luxurious Bingo rooms, daily jackpots and even a range of free Bingo games! Wink Bingo stands out with its large guaranteed jackpots, that you will not find elsewhere. As for casino games, you can play on video pokers like Deuces Wild, or games like Lucky Keno and dozens of scratch card games! Surprises never end at Wink Bingo! At this spectacular online casino you can enjoy a litany of live dealer games as well! Your options include Live Blackjack, Live Dragon Tiger, Live Roulette, Live Speed Baccarat and even Live Automatic Roulette – and those are just some of them! This forward-thinking online gaming brand has thought its banking through to the T. You can both deposit and withdraw on any portable or non-portable device of your choice, which is a big bonus. As for the banking methods, you are free to pay with ewallets like Neteller, PayPal, Entropay, and Paysafe Card, whereas the cards at your disposal include Visa, MasterCard, and Maestro, which should cover its clients’ needs. It is easy and fast to insert your promotional codes as well when you are depositing. Then, while deposits are instant, withdrawals will take roughly a couple of days to process your requests. Typically it will not take less than 2-3 for the cash to appear on your account, which at times might be a good thing, as it gives you time to change your mind. Bank wire transfers will take up to a week to be put through, whilst cheques could take up to 21 days. 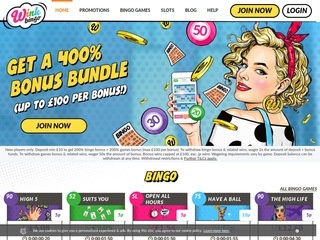 The least you can deposit is £5, and the least you can withdraw totals £10, which is typical for a Bingo site. Wink Bingo Casino offers a welcoming and inviting atmosphere with extensive player support. This modern gambling venue follows the latest trends and you can find them on various social media – Facebook, Instagram, Twitter and YouTube. You will also get the warm and fuzzy feel if you ask away via other communication methods, as the venue’s agents are more than happy to receive your feedback. Looking to improve all the time, they will answer your questions and take your complaints into consideration. The support is available 7 days a week, 365 days a year. The agents operate every single day between 10 am and 2 am CET, and if you want to give them a call here is the number: 0800 901 2508. Please bear in mind that this one is for UK players only; if you call this number from abroad, additional costs will be charged. There is also a direct dial number and it is not toll free, but might be a cheaper option for you, depending on where you are calling from: +44 (0) 20 3794 3049. Lastly, for written correspondence, drop them a line to [email protected] and you will get a reply as soon as possible!